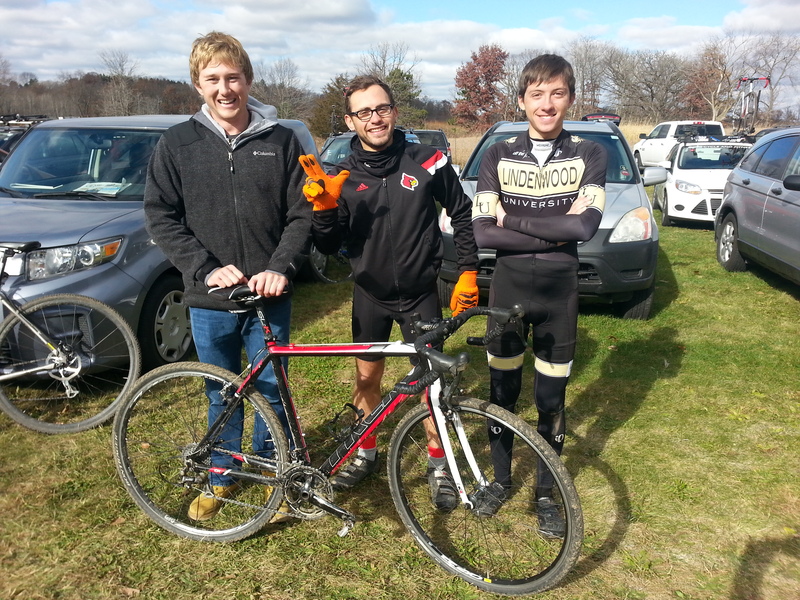 Cambridge, Wisconsin– University of Louisville Student Cycling Coalition traveled to Wisconsin to race successfully in the collegiate cyclocross race hosted by the University of Wisconsin-Madison cycling club. 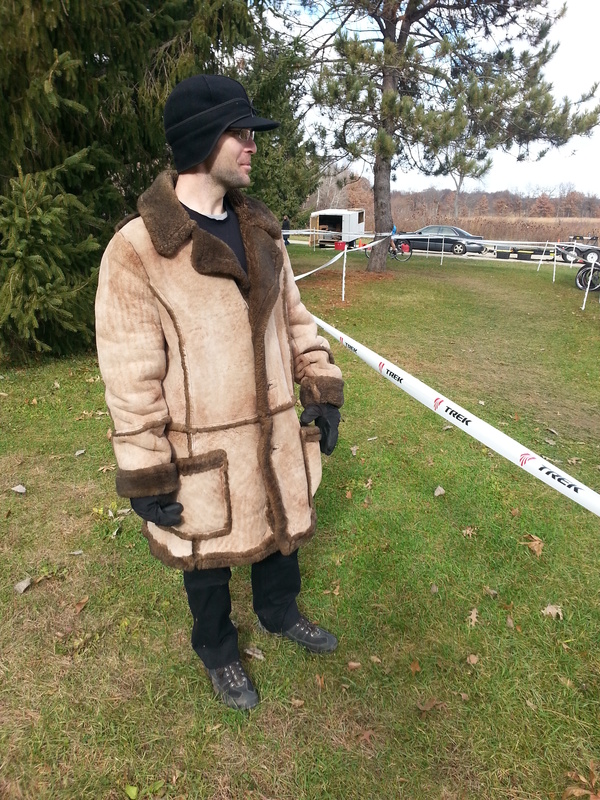 The race was part of the local Wisconsin Cyclocross Series and was held at Cam-Rock Park in Cambridge, Wisconsin. The representatives of the SCC present were Abner Miralda and Josh Goodman, finishing 5th and 6th respectively in the Men’s B field, which had been combined with the Category 4 race. 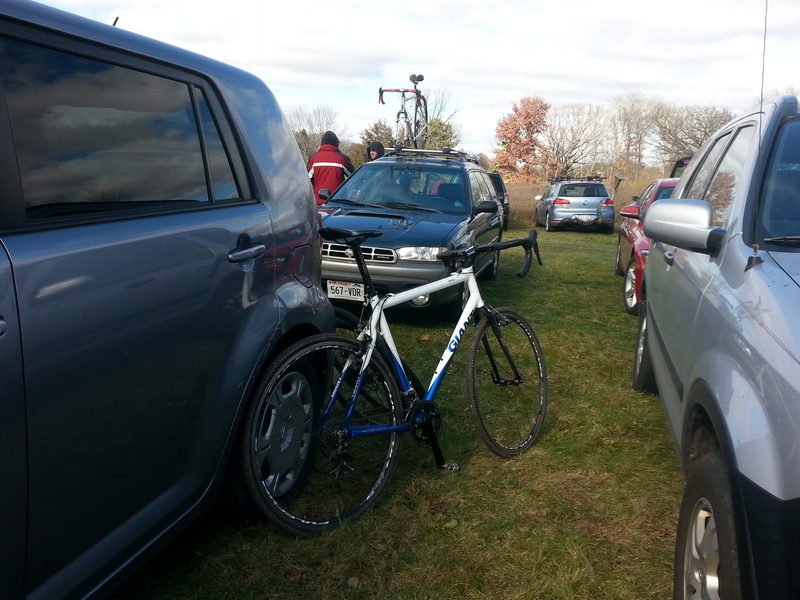 In a cold and muddy course, the race splintered early, with Miralda contesting 3rd place during much of the race. 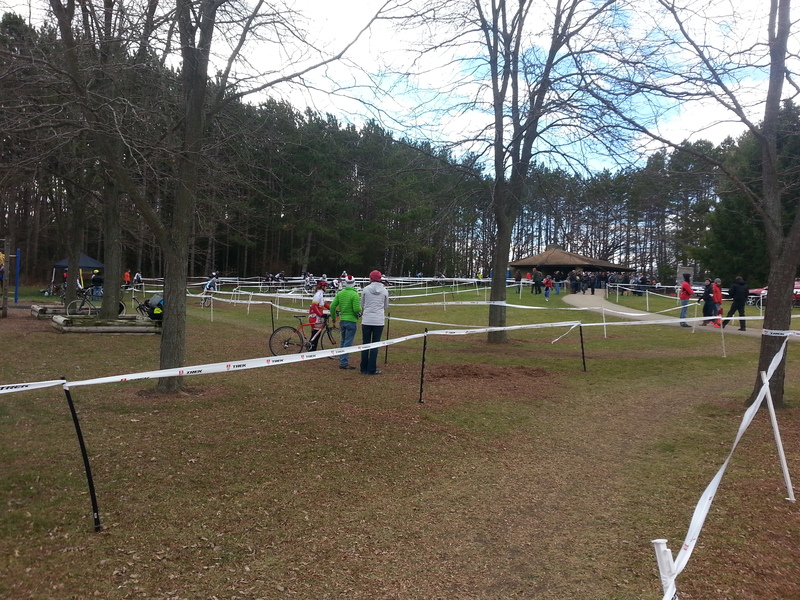 Goodman held ground steady at 7th until the third lap when he moved up to 6th, edging University of Wisconsin rider Chris Beszhak. 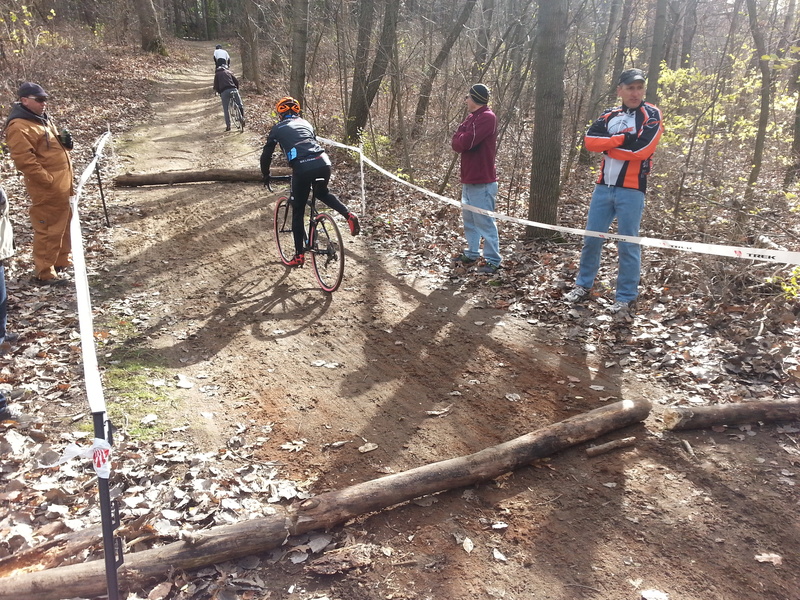 On the final lap, while running the log barriers, Miralda dropped his chain setting up the interesting 4th place battle with Ian Seibert of Lindenwood University. The two battled throughout the final lap, swapping positions often; first in the muddy off-camber spiral half-way through the course, then again in the final climb to the sprint finish. Miralda attempted to sprint around on the pavement before the finish line but Seibert’s well timed response nipped the Louisville rider’s bid for fourth place. This weekend, November 8-9, the Cardinals are racing the Derby City Cup in Louisville, Kentucky. 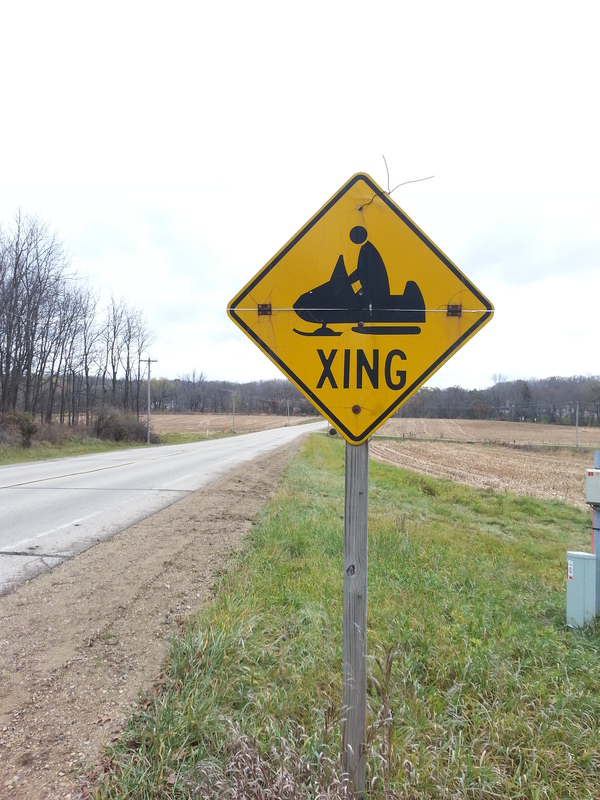 John Francisco, Ben King, Evan Kuhl, and Owen Stone are racing on Saturday. Francisco, King, Stone, Goodman, and Miralda will race on Sunday. 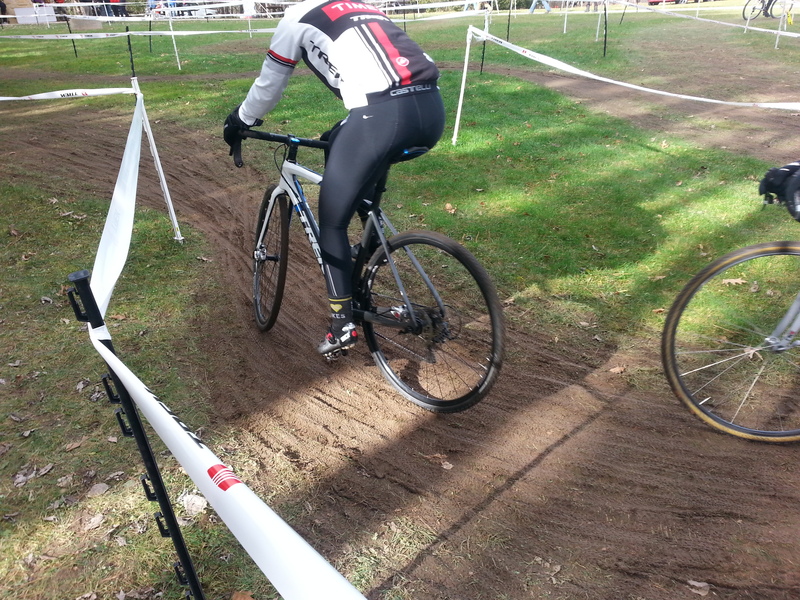 The centerpiece of the course was a muddy off-camber spiral. Waiting patiently for the start time. The muddy entrances and exits of the spiral made things interesting. A purely northern experience, we had a show and tell of a bison(?) jacket! Riders pre-ride the logs and the climb leading to the spiral. Josh Goodman poses with riders from Lindenwood University after the B race. 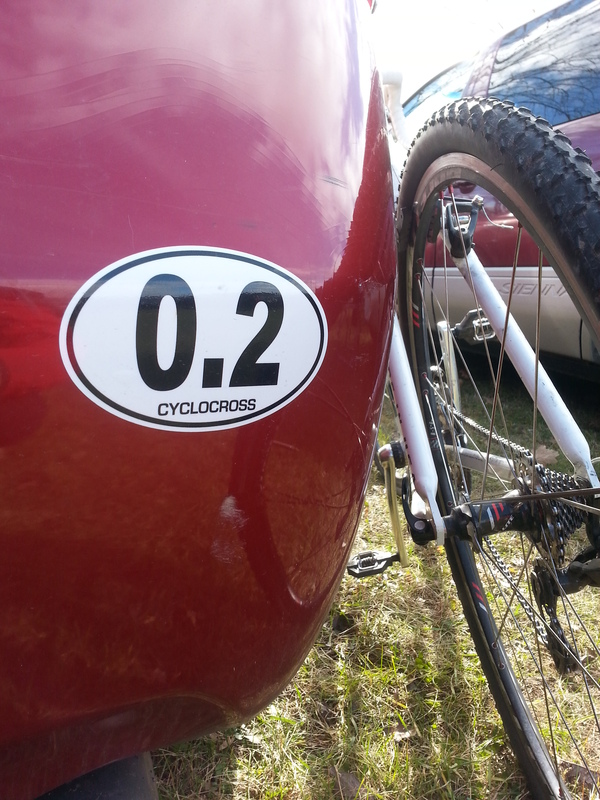 Saw this gem parked next to an Iron Man 140.2.